The SEC suffered a stunning loss in the First Circuit in a December 8, 2015 decision ruling that the SEC’s findings of securities law violations by two executives in connection with the operation of a State Street Bank bond fund lacked substantial supporting evidence. The Commission had, by a 3-2 divided vote, overturned a decision by one of its administrative law judges that no violations had occurred, and in doing so wrote a highly controversial opinion in which it staked out aggressive positions on a variety of securities law issues. See SEC Majority Argues for Negating Janus Decision with Broad Interpretation of Rule 10b-5; New, Thorough Academic Analysis of In re Flannery Shows Many Flaws in the Far-Reaching SEC Majority Opinion; and SEC not entitled to deference in State Street fraud appeal – law prof. The First Circuit panel found, however, that the underlying evidence simply failed to support the finding of any violation on any theory, even the aggressive interpretations set forth by the Commission in its opinion. As a result, the First Circuit never ruled on the validity or invalidity of several important legal issues raised by the Commission in its overreaching opinion. Therefore, the key issue whether the SEC’s attempt at aggressive revisions of the scope of the law are entitled to deference or acceptance was not reached. The end result, however, which vacates the SEC Order, leaves no SEC precedent in place to support those aggressive opinions. The First Circuit’s opinion is available here: 1st Circuit Decision in Flannery v. SEC. The now-vacated SEC opinion is available here: In re Flannery Majority Opinion. Perhaps the most stunning aspect of the First Circuit opinion is the way in which the court schooled the SEC — the supposed experts on securities — by explaining why the evidence the SEC found compelling (despite a contrary ruling by its ALJ) was in fact deeply flawed. Where the Commission majority found evidence of material intentional and negligent misrepresentations, the appellate court found no substance whatever. What does this say about the competence of the SEC and its staff to consider such issues? If you read the opinion, you will see that the SEC’s willingness to stretch minimal evidence into supposed violations of law, and to disregard the lack of real evidence of materiality and state of mind proffered during the trial, seems a lot like the strained efforts of plaintiffs’ lawyers to find securities fraud everywhere. And that is the reality faced by those being investigated and prosecuted by the SEC: the investigation and prosecution proceeds on the basis of a distorted view of what constitutes important information, and intentional or negligent behavior, that puts almost every decision in the SEC’s cross-hairs based largely on backward-looking, “fraud by hindsight” reasoning. The First Circuit opinion is based on an analysis of the specific evidence in the record, and therefore is not easily summarized. The case turned on two sets of events. The case against Mr. Hopkins turned on a short presentation to investors in which he participated, and, indeed, a single power-point slide in that presentation. That slide set forth various parameters of the bond fund at issue (State Street’s Limited Duration Bond Fund, hereafter “the Fund”) under the heading “Typical Portfolio Exposures and Characteristics.” It never purported to lay out the exact characteristics of the Fund at the time of the presentation, although Mr. Hopkins had that information available if any investor asked about them. The SEC charged Mr. Hopkins with fraud for discussing this power-point slide without providing the exact information about the Fund at that time, which in some respects differed from the “typical” slide, and in others did not. In particular, the percentage of holdings of different types of asset-backed securities — ABS (asset-backed securities, included residential mortgage-backed securities), CBS (commercial-backed securities), MBS (mortgage-backed securities), and other designations — at the time varied from the “typical” slide by having heavier ABS holdings. The case against Mr. Flannery focused on two letters sent by State Street to investors regarding the impact of the 2007 financial crisis on the Fund and steps being taken to respond to that. Mr. Flannery signed one of those letters, but not the other. Many State Street officials participated in the drafting of these letters, including its General Counsel. The SEC contended that Mr. Flannery negligently participated in a “course of business” that “operated as a fraud” in his role in connection with these letters. The alleged misrepresentations in the letters related to whether steps taken to divest the Fund of certain bonds were properly described as lessening its exposure to risk. As you can see, these are “in the weeds” issues to which the SEC should be able to bring sophistication and expertise. Instead, they pursued a blunderbuss case that ignored the context of the disclosures, the realities of these types of communications (what they are intended to communicate and what not), and the actual language used. The SEC essentially waved its hands around and said “this is bad; this is bad” and “look how badly the funds did when the mortgage-backed securities market tanked.” But it failed to present evidence that what was said was wrong, or that the aspect that it contended was wrong was even important to investors, and ignored substantial evidence to the contrary. Questions of materiality and scienter are connected. . . . “If it is questionable whether a fact is material or its materiality is marginal, that tends to undercut the argument that defendants acted with the requisite intent or extreme recklessness in not disclosing the fact.” . . . Here, assuming the Typical Portfolio Slide was misleading, evidence supporting the Commission’s finding of materiality was marginal. The Commission’s opinion states that “reasonable investors would have viewed disclosure of the fact that, during the relevant period, [the Fund’s] exposure to ABS was substantially higher than was stated in the slide as having significantly altered the total mix of information available to them.” Yet the Commission identifies only one witness other than Hopkins relevant to this conclusion. . . .
[T]he slide was clearly labeled “Typical.” [The witness and his firm] never asked … for a breakdown of the [Fund’s] actual investment…. Further, the Commission has not identified any evidence in the record that the credit risks posed by ABS, CMBS, or MBS were materially different from each other, arguing instead that the percent of investment in ABS and diversification as such are important to investors. Context makes a difference. According to a report [the witness] authored the day after the meeting, the meeting’s purpose was to explain why the [Fund] had underperformed in the first quarter of 2007 and to discuss its investment in a specific index that had contributed to the underperformance. The Typical Portfolio Slide was one slide of a presentation of at least twenty. Perhaps unsurprisingly, the slide was not mentioned in [the witness’s] report. This thin materiality showing cannot support a finding of scienter here…. Hopkins testified that in his experience investors did not focus on sector breakdown when making their investment decisions and that [Fund] investors did not focus on how much of the [Fund] investment was in ABS versus MBS…. He did not update the Typical Portfolio Slide’s sector breakdowns because he did not think the typical sector breakdowns were important to investors. To the extent that an investor would want to know the actual sector breakdowns, Hopkins would bring notes with “the accurate information” so that he could answer any questions that arose. 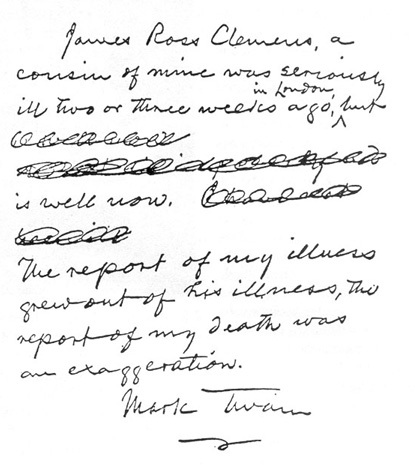 We cannot say that these handwritten notes provide substantial evidence of recklessness, much less intentionality to mislead — particularly in light of Hopkins’s belief that this information was not important to investors…. We conclude that the Commission abused its discretion in holding Hopkins liable under Section 17(a)(1), Section 10(b), and Rule 10b-5. Slip op. at 21-24 (footnotes omitted). The court said in a footnote: “… We do not suggest that the mere availability of accurate information negates an inaccurate statement. Rather, when a slide is labeled ‘typical,’ and where a reasonable investor would not rely on one slide but instead would conduct due diligence when making an investment decision, the availability of actual and accurate information is relevant.” Slip op. at 22 n.8. The Commission’s primary reason for finding the August 2 letter misleading was its view that the “[The Fund’s] sale of the AAA-rated securities did not reduce risk in the fund. Rather, the sale ultimately increased both the fund’s credit risk and its liquidity risk because the securities that remained in the fund had a lower credit rating and were less liquid than those that were sold.” At the outset, we note that neither of the Commission’s assertions — that the sale increased the fund’s credit risk and increased its liquidity risk — are supported by substantial evidence. Further, testimony throughout the proceeding indicated that the [Fund’s] bond sales in July and August reduced risk by decreasing exposure to the subprime residential market, by reducing leverage, and by increasing liquidity, part of which was used to repay loans. To be sure, the Commission maintained that the bond sale’s potentially beneficial effects on the fund’s liquidity risk were immediately undermined by the “massive outflows of the sale proceeds . . . to early redeemers.” But this reasoning falters for two reasons. First, the Commission acknowledged that between $175 and $195 million of the cash proceeds remained in the LDBF as of the time the letter was sent; it offered no reason, however, why this level of cash holdings provided an insufficient liquidity cushion. Second and more fundamentally, even if the Commission was correct that the liquidity risk in the [Fund] was higher following the sale than it was prior to the sale, it does not follow that the sale failed to reduce risk. Rather, to treat as misleading the statement in the August 2 letter that State Street had “reduced risk,” the Commission would need to demonstrate that the liquidity risk in the LDBF following the sale was higher than it would have been in the counterfactual world in which the financial crisis had continued to roil — and in which large numbers of investors likely would have sought redemption — and the [Fund] had not sold its AAA holdings. But the Commission has not done this. Independently, the Commission has misread the letter. The August 2 letter did not claim to have reduced risk in the [Fund]. The letter states that “the downdraft in valuations has had a significant impact on the risk profile of our portfolios, prompting us to take steps to seek to reduce risk across the affected portfolios” (emphasis added). Indeed, at oral argument, the Commission acknowledged that there was no particular sentence in the letter that was inaccurate. It contends that the statement, “[t]he actions we have taken to date in the [Fund] simultaneously reduced risk in other [State Street] active fixed income and active derivative-based strategies,” misled investors into thinking [State Street] reduced the [Fund’s] risk profile. This argument ignores the word “other.” The letter was sent to clients in at least twenty-one other funds, and, if anything, speaks to having reduced risk in funds other than the [Fund]. Even beyond that, there is not substantial evidence that [State Street] did not “seek to reduce risk across the affected portfolios.” As one expert testified, there are different types of risk associated with a fund like the [Fund], including market risk, liquidity risk, and credit or default risk. The [Fund] was facing a liquidity problem, and … the Director of Active North American Fixed Income, explained that “[i]t’s hard to predict if the market will hold on or if there will be a large number of withdrawals by clients. We need to have liquidity should the clients decide to withdraw.” Flannery noted that “if [they didn’t] raise liquidity [they] face[d] a greater unknown.” … [The Fund’s] lead portfolio manager, noted that selling only AAA-rated bonds would affect the [Fund’s] risk profile. After discussion of both of these concerns, the Investment Committee ultimately decided to increase liquidity, sell a pro-rata share to warrant withdrawals, and reduce AA exposure. And that is what it did.… The August 2 letter does not try to hide the sale of the AAA-rated bonds; it candidly acknowledges it. At the proceeding, Flannery testified that selling AAA-rated bonds itself reduces risk, and here, in combination with the pro-rata sale, was intended to maintain a consistent risk profile for the [Fund]. [Another witness] testified that the goal of the pro-rata sale was to treat all shareholders — both those who exited the fund and those who remained — as equally as possible and maintain the risk-characteristics of the portfolio to the extent possible. These actions are not inconsistent with trying to reduce the risk profile across the portfolios. Finally, we note that the Commission has failed to identify a single witness that supports a finding of materiality…. We do not think the letter was misleading, and we find no substantial evidence supporting a conclusion otherwise. Slip op. at 25-30 (footnotes omitted). As noted above, it is obvious that the court’s decision turned on a close examination of the evidence, and an understanding of what the statements made by Hopkins and Flannery really meant, within their context. The generalized power-point slide used by Mr. Hopkins, in the context of a broader presentation, and the availability of specific information on request, was so close to immaterial that Mr. Hopkins’ understanding that investors would not place significant weight on the “typical” data could not be reckless. And the State Street letters to investors in which Mr. Flannery participated were not inaccurate because the SEC did not understand that the transaction described was, in fact, a means of reducing risk exposure. That last point is a killer: the SEC could not even understand how to evaluate the risk exposures of these types of portfolios! How good does that make you feel about the Commissioners that are responsible for understanding and protecting our capital markets? This is a huge loss for the Commission because so much effort was made to make this case a showpiece for enforcement against individuals for supposed securities violations in the sale of the mortgage-backed securities that were devastated in the financial crisis. The SEC was loaded for bear to hold some individuals responsible, regardless of the evidence. Thank goodness a court was ultimately available to return us to the true rule of law. This entry was posted in Administrative Proceedings, Enforcement Overreaching, SEC Enforcement, Securities Law and tagged ABS, administrative courts, administrative law judge, administrative proceeding, ALJ, financial crisis, First Circuit, Flannery, Flannery v. SEC, fraud, Hopkins v. SEC, In re Flannery, In re Flannery and Hopkins, In the Matter of Flannery and Hopkins, lawyer, legal analysis, Limited Duration Bond Fund, materiality, mortgage-backed securities, recklessness, RMBS, Rule 10b-5, scienter, scienter and materiality, SEC, SEC competence, SEC enforcement, section 10(b), securities, Securities Act of 1933, Securities Exchange Act of 1934, securities fraud, securities law, securities litigation, State Street on December 9, 2015 by Straight Arrow. This is the fourth and final post discussing the SEC’s proposals for revising the Rules of Practice in its administrative court. These proposals purport to modernize antiquated procedures in that forum. Our first three posts addressed three unacceptable aspects of the SEC’s proposals: (1) requiring that respondents plead in their answers certain defense theories that are not “affirmative defenses” required to be pled in response to complaints filed by the SEC in the federal courts; (2) providing for a discovery process limited to a maximum of 5 depositions, requiring that those be shared among multiple respondents, allowing the Division of Enforcement an equal number of depositions (in addition many investigative depositions taken before the case was filed), and limiting the scope of witnesses that respondents could depose within the tiny allotment provided; and (3) the proposals continue to handcuff the respondents with respect to third party discovery and discovery from the SEC itself by maintaining highly restrictive rules limiting the issuance of subpoenas, while the SEC staff has essentially unlimited access to these sources of evidence. You can review these comments here (Part I), here (Part II), and here (Part III), respectively. The last part of the SEC proposed rule changes we will discuss involves the administrative trial itself. Many commentators have noted the unfairness of the current SEC administrative proceedings with respect to the court’s acceptance of unreliable information into evidence. The Federal Rules of Evidence do not apply in this forum, and administrative law judges, who effectively control the record, accept into evidence testimony and exhibits that would not be admitted into evidence in federal court. As with almost all of the exercises of discretion by the SEC ALJs, this freedom to introduce into evidence material that would not be permitted in a court proceeding usually advantages the SEC staff. The SEC ALJs treat the SEC staff with deference, lessening the usual standards under the theory that the staff is presumptuously acting in good faith. That is one of the fundamental, hidden differences between SEC administrative proceedings and SEC court proceedings: the ALJs are accorded more discretion than judges with respect to evidentiary matters, and their use of that discretion tends to favor the litigant they presume is acting in the public interest – the Division of Enforcement and its lawyers. The SEC’s proposed changes to Rules of Practice 235 and 320 would make what is already an unfair aspect of these proceedings even worse. Rule 235 addresses when “a prior, sworn statement of a witness, not a party, otherwise admissible in the proceeding” may accepted into evidence. It allows such evidence to be admitted when witnesses are dead, out of the country, incompetent to testify, cannot be subpoenaed, or “it would be desirable, in the interests of justice, to allow the prior sworn statement to be used.” The SEC proposes that Rule 235 be expanded to cover “sworn deposition [testimony in the case], investigative testimony, or other sworn statement or a declaration pursuant to 28 U.S.C. 1746, of a witness, not a party, otherwise admissible in the proceeding.” It further proposes that an “adverse party” may use any such prior statements of “a party or anyone who, when giving the sworn statement or declaration, was the party’s officer, director, or managing agent” may be used “for any purpose,” apparently without any showing of unavailability. The latter change is presumably intended to benefit only the SEC staff, not respondents, because it seems unlikely that the adverse party to respondents in these proceedings – the Division of Enforcement – would have made any “sworn statements” relevant to the proceeding. Rule 320 currently provides that the ALJ “may receive relevant evidence and shall exclude all evidence that is irrelevant, immaterial or unduly repetitious.” The SEC’s proposed changes would require the exclusion of “unreliable” evidence, but would add specifically that “evidence that constitutes hearsay may be admitted if it is relevant, material, and bears satisfactory indicia of reliability so that its use is fair.” Now, apparently, the Division can obtain mere declarations from some important witnesses like current or former officers, directors, or agents of the respondent — crafted by the SEC lawyers themselves — and submit them as evidence proposed under new Rule. No court in the land would permit that. First, these examinations take place in a context in which witnesses are often blindsided with inquiries about things that occurred years before with limited, if any, access to materials that could allow them to refresh their recollection of those dated events. Sometimes, basic aspects of the subject matter the staff intends to inquire into are not known in advance. Second, these questions and answers take place at a time when the primary goal of the witness is to try to convince the same staff not to take an adverse action against the witness. This causes the witness to try as hard as possible to please the examiners. That includes being reticent to tell them when the questions do not make sense, or are based on assumptions that are not valid, or reflect a lack of understanding (sometimes a very basic understanding) of the business matters or transactions involved. Even defense counsel often resist criticizing questions or tactics for fear that the staff lawyers will become more antagonistic as a result. Third, these examinations often are conducted in a manner that is more in the nature of an inquisition than an examination. It is not unusual for two, three, or four lawyers and sometimes accountants to act like a tag team, taking turns at the examination. And often the staff is trying to create a record that implicates the witness or others and pressures the witness into providing its desired response, lest the witness otherwise be perceived as uncooperative or recalcitrant. Fourth, the staff lawyers often formulate confusing and ambiguous questions, including regularly misusing technical terms. That is sometimes because of lack of skill, sometimes lack of experience, and sometimes in an effort to cajole the witness into making statements that can later be portrayed as admissions when they are nothing of the kind. No judge, magistrate, or even senior SEC official is there to prevent this, and objections by counsel are feckless, because the staff need do nothing to respond to those objections. The end result is often a transcript that leaves open multiple interpretations of what the testimony actually says. Fifth, the staff will often use limited materials during the examination that do not allow the witness to put documents or events in context, because the context is not made available. That often occurs with the misleading use of emails to portray one picture of events when other emails are not used that create a very different context. Sixth, there is no real right to cross-examine the witness, nor an incentive for the defense counsel to do so. Defense counsel is given the opportunity to ask questions, but typically lacks the materials that would allow useful questions to be formulated. And without knowing where the investigation is headed, the defense counsel typically is loathe to get back into matters that may be ambiguous on the record, knowing there should be opportunities at later times to discuss the subject matters addressed with the staff, when a greater knowledge of entire record is possible and the direction the staff may be headed is more clear. I believe that in contested cases in federal court, one significant reason for the SEC’s greater percentage of losses at trial is the unreliability of the investigative testimony the staff (and Commission) rely upon when a case is brought. At trial, often the picture that is revealed by court testimony varies in significant ways from the record the staff created during the investigative testimony. That in turn results in the staff having difficulty proving the Commission’s allegations. When investigative transcripts are used to try to impeach witnesses by showing a supposed difference between the earlier statements and trial testimony, the infirmities of the investigative testimony undercut staff efforts to challenge the witness’s credibility, and in some cases serve only to impeach the credibility of the SEC and its lawyers. The SEC’s new proposed Rules 235 and 320 are designed to codify the ALJ practice of treating investigative transcripts as a reliable form of “sworn statement,” as well as to codify the acceptability of hearsay evidence more generally, apparently without regard to a realistic examination of reliability. Proposed new Rule 235 explicitly calls out investigative transcripts as proper forms of evidence, and allows their use against respondent parties “for any purpose.” And proposed Rule 320, specifically approves the use of hearsay evidence as long as it “bears satisfactory indicia of reliability.” Having previously defined investigative transcripts as having “satisfactory indicia of reliability” in proposed Rule 235, the proposed new rules assure that ALJs will continue the unseemly and harmful process of using staff-controlled investigative transcripts as valid evidence. That is the opposite of what should have been done. There are strong reasons why hearsay evidence is permitted only under specific exceptions in the Federal Rules of Evidence. A long history of evidentiary theory, thought, and practice, produced explicit understandings of when it is fair to allow out of court statements to be used to prove a case at trial. Instead of endorsing a broad swath of hearsay evidence as acceptable, the SEC should have taken note of that history and careful thought. It should have started with the assumption that the federal evidentiary rules are cogent and well-conceived, and departed from those rules only as necessary to achieve specific goals unique to its administrative proceedings that the federal rules impede. If this standard were applied, I have little doubt that most of the Federal Rules of Evidence would be incorporated into the SEC administrative process. There is no indication that any such analysis was done by the Commission, which in my view makes its evidentiary choices in the proposed rules arbitrary and capricious. In fact, this same fundamental flaw in the way the Commission formulated its new proposed Rules of Practice infects the entire proposal. There is an existing system of procedures, discovery, and evidence, that is in place in the federal courts which has been examined and refined over the years with enormous experience and attention. In contrast, the SEC’s administrative process is broken and desperately needs repair. But instead of using the federal court experience as a valuable benchmark for SEC administrative rules, the Commission decided to make only marginal changes — at best — to its broken system. Why it chose this approach is not clear, because that analysis, if it occurred, is never discussed in the proposal. My guess is that the bureaucrats took control of the process and desperately sought to avoid any major changes. But for whatever reason, the SEC failed to use the many years of federal court practice and experience to generate a new, better set of rules for its administrative forum. The Commission should have started from what we know to be fair and due process in the federal courts and replicated that process to the extent possible and appropriate in the context of an administrative proceeding. It should have used the many years of federal court practice and experience to generate a new, better set of rules for the administrative forum. If it perceived specific flaws in the federal court discovery or evidentiary process that could cause undue delay or expense, it should explain those, and make only those changes that would improve the process for all of the parties, not just the SEC. Instead, it is painfully apparent that little effort was made to make the SEC administrative court a fairer forum for those prosecuted. Minor changes were made in the timing of cases and the availability of discovery – changes transparently insufficient to accomplish any fairness goal. And these were accompanied by granting to the SEC staff several “goodies” from the Division of Enforcement wish list – e.g., requiring additional pleading of defenses and expressly permitting the use of hearsay evidence and investigative transcripts – that, in the end, probably make the administrative forum even more biased in favor of the SEC prosecutors, and against the respondents, than it is now. One final note. The degree of disingenuousness by the SEC during this whole process has been shameful. All along, both the Division of Enforcement and the SEC Chair have been touting the high degree of fairness in the SEC administrative courts in ways that do not pass the “ha ha” test. See, for example, Ceresney Presents Unconvincing Defense of Increased SEC Administrative Prosecutions. SEC Chair Mary Jo White was a capable – indeed, admired – private practitioner, and she must fully understand the huge advantage the SEC staff has in SEC administrative proceedings. But she nevertheless maintains the bureaucratic fiction that everything is just fine there. And she does so with statements that are obviously, embarrassingly, wrong. One of the things that I think was a good thing for us to do was put out public guidelines as to what factors are considered in choosing the forum [in which to bring a case]. The commission, by the way, has to approve the choice of venue in every single case. It isn’t up to the enforcement division. There have been questions raised. For example, I think in one year, if you look at the win rates in administrative proceedings versus district court, you’ll see a higher win rate. But again, it’s cyclical to some degree. If you look at this past year, we have a nearly 100% win in district court, and a lesser success rate in administrative proceedings, which have unique due-process rights. For example, you have to turn over what’s called Jencks and Brady material in administrative proceedings, which is essentially exculpatory information, to the respondent, the defendant. You don’t have that requirement in district court. Recently we’ve put out for comment [proposed rules] to modernize our administrative proceedings. Should there be more discovery? Should there be more time provided before there’s a hearing? . . . I think they’re very fair proceedings. But you always want to critically examine what you’re doing so that you’re conveying not only in reality the fairness of a particular forum, but the appearance of it, too. What nonsense. And Ms. White is a good enough lawyer and securities litigator to know it. With this statement, she reduced herself to rote adoption of the bureaucratic party line. First, the statement that the SEC “put out public guidelines as to what factors are considered in choosing the forum,” as if there is some binding and useful guidance on that issue, is wrong, and she knows it. She must know it because virtually every person and law firm to comment on that release recognized that it provided no useful information about the forum selection process, and essentially said no more than that the Commission has total discretion to choose whatever forum it prefers. See SEC Attempts To Stick a Thumb in the Dike with New Guidelines for Use of Administrative Court; SEC’s New Guidance on the Use of Administrative Proceedings: “It’s Up to Us.”. Second, the argument that the administrative forum provides greater rights to the persons sued because the Division of Enforcement is required “to turn over what’s called Jencks and Brady material in administrative proceedings, which is essentially exculpatory information, to the respondent, the defendant, and “[y]ou don’t have that requirement in district court” is both misleading and false. To begin, the SEC staff’s determination of what is Brady and Jencks material is notoriously narrow. In the staff’s view, if a document does not itself say that the respondent is innocent, it is not exculpatory – which leaves out many documents that are building blocks in proving the respondent’s innocence (for example, materials that show that a key SEC witness is lying would not be delivered). Likewise, unless a document is a verbatim recording of what a witness said previously, it is not delivered as Jencks material. That leaves out important summaries of interviews that report on many important things that were said in unrecorded interviews. In addition, in both Brady and Jencks disclosures, the staff withholds anything it considers to be work product or subject to the so-called deliberative process privilege, which excludes large amounts of important information. And there is no effective review of these decisions. The ALJs almost uniformly accept the staff’s determinations on these disclosures because they assume the SEC staff acts in good faith (which is itself a breach of their duty to serve as neutral judges). As a result, they are nearly useless in helping a respondent get true Brady and Jencks production. In contrast, in federal court, a defendant can issue a document request for all Brady and Jencks material, and much more, and force the staff to produce all useful materials for the defense of the case. When (not if) the SEC lawyers fail to deliver all of the relevant material, they can bring the issue to an independent judge who will treat both parties equally and not defer to the SEC staff’s determinations (at least in most cases). So how exactly are an accused’s Jencks and Brady rights better in the administrative forum better than a federal court? They are not. Ms. White certainly understands that, but chooses to say otherwise. If the SEC is ever going to reform its administrative forum, and make it into a fair alternative to the federal courts, it must recognize the problems in the current system, speak honestly about them, and make a genuine effort to produce new rules that flatten the playing field. At the behest of SEC bureaucrats, Ms. White and her fellow Commissioners have plainly decided to avoid that route and make proposals that do not move perceptibly in the direction of fairness, but instead defer to the preferences of the SEC staff. As a result, the proposals are grossly inadequate, and the SEC’s credibility on the issue is in shreds. The proposed changes to the SEC Rules of Practice should be rejected. Because the Commission has shown it is effectively captive to its staff, the best way to proceed is to appoint a committee of well-regarded SEC litigators to put together proposals for new Rules of Practice. The Commission often seeks the assistance of professionals to address key regulatory issues, and the fairness of its administrative forum is no less important than those. Of course, the SEC staff would fight tooth and nail to avoid this, so don’t hold your breath. This entry was posted in Administrative Proceedings, Enforcement Overreaching, SEC Enforcement, Securities Law and tagged administrative courts, administrative law judge, administrative proceeding, ALJ, Brady disclosures, Brady material, Brady rule, Ceresney, discovery, discovery in administrative proceedings, due process, Enforcement Division, hearsay, inadequacy of SEC proposals, investigative testimony, investigative transcripts, Jencks, Jencks Act, lawyer, legal analysis, Mary Jo White, SEC, SEC enforcement, SEC evidentiary rules, SEC proposed rules, SEC Proposed Rules of Practice, securities, securities fraud, securities law, securities litigation on December 4, 2015 by Straight Arrow. This is the third in a series of posts addressing the SEC’s proposals for revising the Rules of Practice in its administrative court. These proposals purport to modernize antiquated procedures in that forum. Our first two posts addressed two blatant inadequacies in the SEC’s proposals: (1) requiring that respondents plead in their answers certain defense theories that are not “affirmative defenses” required to be pled in response to complaints filed by the SEC in the federal courts; and (2) providing for a discovery process limited to a maximum of 5 depositions, requiring that those be shared among multiple respondents, allowing the Division of Enforcement an equal number of depositions (in addition many investigative depositions taken before the case was filed), and limiting the scope of witnesses that respondents could depose within the tiny allotment provided. You can review these comments here (Part I), and here (Part II), respectively. The SEC chief said that the commission recently proposed rules to modernize the administrative law proceedings and submitted a draft for public comment. The proposal came amid calls for overhauling the system, which critics say is biased toward the agency and provides few protections to defendants. The proposed change, she noted, includes allowing for additional time and discovery depositions before the trials. SEC’s White Defends In-House Courts, but Sees Need to Modernize. As an experienced defense counsel, Ms. White certainly knows that what she is saying is false. There is no conceivable way that one could describe the SEC’s current administrative litigation process as offering “even more due-process rights to defendants than district court.” Similar statements in disclosures by public companies would be prosecuted as section 10(b) frauds by the SEC itself, if they were material. Perhaps she could beat the fraud charge on the theory that her misstatements were “mere puffery” (a defense the SEC staff itself rarely accepts). It is sad, indeed, that such an eminent lawyer in private practice has fallen into lock-step acceptance of the SEC mantra that it is gloriously clothed and everything is really fine, when the outside world knows the opposite is true: the SEC enforcement process is clothed in rags and the administrative enforcement forum is badly in need of reform. Now we turn to the third respect in which the SEC’s regulatory proposal for its court is grossly inadequate: The new proposals do nothing to cure the extreme unfairness of the current Rules of Practice regarding the issuance of subpoenas to the SEC and third parties. Remember the starting point for the respective parties when a case is commenced. The SEC staff starts after having conducted years of investigation, in which it is able to obtain virtually limitless information from any person it chooses to subpoena, or ask for a “voluntary” production of materials. The defense, on the other hand, typically has no access to information from third parties, and may only have had at best limited access to information from co-respondents, including other respondents who settled rather than litigate the charges against them (e.g., in many cases, the company they work for). Thus, at the start of the case, the SEC itself is in possession, custody, or control of many potentially relevant materials, and the respondent typically has very little access to most of the materials the SEC has. In cases filed in federal court, this imbalance between the parties can be remedied by means of aggressive use of the document production and subpoena powers available under the Federal Rules of Civil Procedure. First, because the SEC is a party, it is subject to discovery as a civil litigant, including requests for documents in its possession, custody, or control. Although the SEC struggles mightily in these cases to avoid discovery that typically occurs against other civil litigants, and it succeeds before some pro-government judges, the general rule is that once it files its case, it is a civil litigant under the federal rules just like any other civil litigant, and therefore subject to the same discovery rules as other plaintiffs. In a well-publicized discovery decision by Judge Shira Scheindlin in SEC v. Collins & Aikman Corp., the judge noted tersely that “[w]hen a government agency initiates litigation, it must be prepared to follow the same discovery rules that govern private parties.” See Case Study: SEC v. Collins & Aikman Corp. (Law 360). Second, Fed. R. Civ. P. 45 allows defendants to issue subpoenas directly to third parties for relevant evidence, or for other information likely to lead to the discovery of admissible evidence. There is no “gateway” procedure for these subpoenas – the party need not convince the judge to issue a subpoena; it can do so itself. The burden then falls on the subpoenaed party to figure out how to respond, knowing that the courts usually take the view that discovery should be permitted unless it plainly imposes an undue burden or obviously seeks information not calculated to lead potentially useful evidence. What happens following the issuance of these subpoenas is predictable. In some, but few, cases, the third party will simply comply. In some, but also few, cases, the third party will seek to quash the subpoena in its entirety. In the vast majority of cases, the party issuing the subpoena and the third party will enter into discussions during which they reach some agreement about what material will be provided in response to the subpoena and which requests will be withdrawn. The end result is that the defendant can gather what he or she considers important information from third parties without having to defend that view before a judge, but also typically agrees to accept less than he or she might get if the issue were fully litigated before a judge. In contrast, in an SEC administrative proceeding, the respondents have no subpoena power. That is so even though their opponent – the SEC staff – was accorded essentially unlimited subpoena power during the investigative stage, and typically uses that power to gather information that would support a potential charge, not defend against one. (That is why production of the “investigative file” is often far from sufficient for adequate trial preparation by the respondent.) The Rules do provide for the possible issuance of subpoenas, to third parties and the SEC itself, but only by application to the administrative law judge, who decides whether the subpoena will be issued. The ALJ places the burden on the respondent to show that the subpoena is warranted, often asking for supporting information about the materials sought in the subpoena that is not, and cannot, be known by the respondent. The ALJ also typically sets a higher bar for discovery than the standard in federal court. The SEC staff almost always objects to the issuance of these subpoenas because they are focused on winning, not on seeking the truth. [A] party may request the issuance of subpoenas requiring . . . the production of documentary or other tangible evidence. . . .
Standards for Issuance. Where it appears to the person asked to issue the subpoena that the subpoena sought may be unreasonable, oppressive, excessive in scope, or unduly burdensome, he or she may, in his or her discretion, as a condition precedent to the issuance of the subpoena, require the person seeking the subpoena to show the general relevance and reasonable scope of the testimony or other evidence sought. If after consideration of all the circumstances, the person requested to issue the subpoena determines that the subpoena or any of its terms is unreasonable, oppressive, excessive in scope, or unduly burdensome, he or she may refuse to issue the subpoena, or issue it only upon such conditions as fairness requires. . . .
. . . Any person to whom a subpoena is directed, or who is an owner, creator or the subject of the documents that are to be produced pursuant to a subpoena, or any party may . . . request that the subpoena be quashed or modified. . . . If compliance with the subpoena would be unreasonable, oppressive or unduly burdensome, the hearing officer or the Commission shall quash or modify the subpoena, or may order return of the subpoena only upon specified conditions. . . . This sets up the ALJ as a gatekeeper for all subpoenas. And history shows that the ALJs are, at the prodding of the SEC staff prosecuting the case, stingy gatekeepers indeed. The end result is the inverse of the environment for document discovery in the federal courts. Instead of giving the party the authority to commence the process to obtain documents, which gives the opposing party, or the third party recipient, the burden of having to negotiate a resolution or appear in court to defend its intransigence, the respondent must plead for the issuance of a subpoena and bear the initial burden of convincing the ALJ to do so. Even if that happens and the subpoena is issued, the recipient (or other persons) still can move to quash the subpoena. As a result of this highly restrictive set of rules governing subpoenas by respondents – compared to almost no restrictions for subpoenas issued by the SEC staff during the investigative process – very modest document discovery is possible in SEC administrative proceedings. Recent cases show that an ALJ will issue a subpoena to the SEC, but only a narrow one and only in rare circumstances. 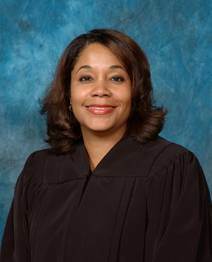 In In the Matter of Charles L. Hill, Jr., the respondent sought discovery relevant to his defense that the administrative process was biased and the administrative prosecution violated his constitutional rights. Mr. Hill asked for a subpoena to the SEC for ten categories of materials. ALJ James Grimes issued a subpoena for two of those categories – materials on administrative prosecutions of similar cases and reflecting allegations by a former ALJ of internal communications encouraging favoring the SEC staff in these cases. See SEC ALJ James Grimes Issues Important Discovery Order Against SEC. But he refused to allow other aspects of the subpoena, which included materials sought to support contentions of equal protection and due process infringements. That order turned on a detailed judgment that the materials sought could not assist those defenses based on a merits analysis, which is a far more demanding standard than the discovery standard in federal court – whether the material could possibly lead to admissible evidence. See Order Denying in Part Subpoena Request in In the Matter of Charles L. Hill, Jr.. In In the Matter of Ironridge Global Partners, LLC, ALJ Grimes refused to issue a subpoena for materials bearing on the respondents’ defenses of bias and constitutional infringements (see Decision by SEC ALJ James Grimes on Motion for Issuance of Subpoenas in In the Matter of Ironridge Global Partners). He also refused to permit a subpoena of the notes of SEC staff witness interviews “to the extent those portions relate to the facts and circumstances of this case, [and] the portions do not reflect attorney-opinion work product.” He rejected this request — which seeks factual material that has often been ordered produced in federal courts — because he found the respondents had not sufficiently shown the need to obtain those materials, including because they were unable to show specifically how portions of the materials they had never seen could be useful in defending the case. That is a standard far beyond what would apply in federal court. In a federal court, at the worst, on a motion to compel production, the court would perform an in camera review of the materials and typically mandate production of the factual portions of those materials. More likely, the court would try to force the parties to negotiate a compromise. Amazingly, ALJ Grimes ruled that the respondents’ argument that it was important that they learn what fact witnesses told the SEC about the very practices at issue in the case was not a sufficient showing of need because “Respondents necessarily already know how they conducted their business. . . . They therefore already possess information about the facts addressed in the Division’s interview notes.” See Third Order on Subpoenas in In re Ironridge Partners, LLC. The notion that the need to learn about actual evidence to be presented in the case fails to satisfy the burden for supporting a subpoena shows the unreasonably narrow scope used by SEC ALJs in ordering discovery against the SEC. The current Rules of Practice support and encourage the ALJs’ niggardly approach to granting subpoenas. They also fundamentally alter the balance of discovery in these cases as compared to those filed in federal court. Discovery against the SEC in the administrative forum is very difficult and always very limited. The ALJs believe that the limited scope of materials specifically made available to respondents under Rule 230 (which is limited to the so-called “investigative file”) operates against discovery from the SEC of other sorts of materials. The federal courts do not generally hold the same view — they note that the federal rules of discovery apply equally to all parties. And in federal court, the ability of a defendant to cause a third party to negotiate document production by issuing a subpoena directly to that party provides access to a much wider range of material than could possibly be available by seeking approval from ALJs, who apply discovery standards far more stringent than those used in federal court, and focus excessively on adhering to the Commission-set schedule (since that is what the Commission requires them to do). The SEC’s proposed changes to the Rules of Practice do nothing to cure this fundamental, and deeply consequential, bias allowing the SEC staff far greater access to evidence or potential evidence than respondents. In fact, there is no discussion at all of how well or poorly Rule 232 has operated, nor any discussion of whether some changes to that rule might enhance fairness or efficiency in the administrative court. The only material change proposed for Rule 232 is to add another reason to quash a subpoena. No effort is made to try to equalize access to evidence or potential evidence, or to try to equalize subpoena rights between federal court and the administrative court. But for some reason the SEC found it necessary to grant ALJs additional grounds for quashing subpoenas previously approved, adding as a new reason for quashing a subpoena whether it “would unduly delay the hearing.” As a result, even if the ALJ found the subpoena appropriate when first sought, and it is not oppressive or excessive, he or she must (“shall”) quash the subpoena if it will “unduly delay the hearing.” This is yet another respect in which the Commission views compliance with its (arbitrary and artificial) schedule to be more important than giving respondents a fair and just proceeding. The document discovery process in SEC administrative proceedings is unfair, unjust, and a major reason why targets of SEC prosecutions do better in federal courts than in the administrative forum. Since the SEC seems not to care much about any of those things, no reforms were proposed. That is our third reason why the proposed rule changes are woefully inadequate and should be rejected as arbitrary and capricious. This entry was posted in Administrative Proceedings, Enforcement Overreaching, SEC Enforcement, Securities Law and tagged administrative courts, administrative law judge, administrative proceeding, ALJ, ALJ James Grimes, discovery, document discovery, due process, Enforcement Division, equal protection, fairness, fairness in SEC proceedings, Hill v. SEC, In the Matter of Charles Hill, In the Matter of Charles L. Hill, in the matter of Ironbridge Global Partner, Judge Shira Scheindlin, lawyer, legal analysis, Mary Jo White, Rule 230, Rule 232, Rule 45, SEC, SEC ALJ James Grimes, SEC enforcement, SEC fairness, SEC Proposed Rules of Practice, SEC Rule of Practice 230, SEC Rule of Practice 232, SEC Rules of Practice, SEC v. Collins & Aikman, SEC v. Collins and Aikman, securities, securities fraud, securities law, securities litigation, subpoenas on November 18, 2015 by Straight Arrow. Today we present Part II of our discussion on the proposed changes offered by the SEC to the Rules of Practice governing its administrative proceedings. Those proposals can be reviewed here. They purported to be an effort to modernize rules adopted many years ago, long before significant changes to both the nature of litigated proceedings (based primarily on the enormous increase in evidentiary material available in the digital era), and the nature of the specific proceedings before the SEC’s administrative courts (based on jurisdictional changes over time, most recently the addition of new authority under the Dodd-Frank Act). The proposals are patently inadequate to address the current problems in the administrative court, virtually all of which have the effect of tilting those proceedings against respondents and in favor of the prosecutor, which is the SEC’s Division of Enforcement. The reasons why the current procedural rules are unfair have been discussed at length over the past two years, including on several occasions in this blog. (See Ceresney Presents Unconvincing Defense of Increased SEC Administrative Prosecutions, and Opposition Growing to SEC’s New “Star Chamber” Administrative Prosecutions.) The reasons why these proposed changes fail to come close to solving those fairness problems are the subject of the multi-part discussions here. In Part I, we described one of the more blatant flaws in the proposal, by which the SEC actually seeks to increase the advantage the Division of Enforcement has in the administrative court versus federal court proceedings – the proposed new requirement that in their Answers, respondents must disclose certain defense theories even though they are not “affirmative defenses,” including defenses based on “reliance.” See Why the SEC’s Proposed Changes to Its Rules of Practice Are Woefully Inadequate — Part I. Rule 233 currently permits parties to take depositions by oral examination only if a witness will be unable to attend or testify at a hearing. The proposed amendment would allow respondents and the Division to file notices to take depositions. If a proceeding involves a single respondent, the proposed amendment would allow the respondent and the Division to each file notices to depose three persons (i.e., a maximum of three depositions per side) in proceedings designated in the proposal as 120-day cases (known as 300-day cases under current Rule 360). If a proceeding involves multiple respondents, the proposed amendment would allow respondents to collectively file notices to depose five persons and the Division to file notices to depose five persons in proceedings designated in the proposal as 120-day cases (i.e., a maximum of five depositions per side). Under the amendment, parties also could request that the hearing officer issue a subpoena for documents in conjunction with the deposition. This proposal lacks any reasoned support — and really any attempt to provide reasoned support. It ignores historic practices in federal courts, which have had to address this issue for many years. Instead of adopting a flexible set of principles or guidelines that can be applied in different ways under varying facts and circumstances, it picks a magic number of depositions that applies to all cases without regard to variations in cases. But alas, the magic of the number is never described. And it makes assumptions about how the magic number is to be applied that (a) fly in the face of reality, and (b) act as a potential severe hardship on the defense when there are multiple defending respondents, without any discussion whatsoever of those issues. The only apparent guiding principle is to assure that the SEC staff’s well-known — and now documented (see Fairness Concerns About Proliferation of SEC Administrative Prosecutions Documented by Wall Street Journal) — advantage in the administrative court will continue. The proposal is successful in only one respect: it provides a textbook case of arbitrary and capricious rulemaking. To evaluate this proposal, we need to consider some context. We need to understand that when an enforcement proceeding of any type – judicial or administrative – begins, the parties are not even close to equally prepared to litigate the case. That is because one party – the Division of Enforcement – has already been gathering and examining evidence for years, while those accused of violating the law have had very limited access to information, and have been focused on avoiding an enforcement action, not litigating one. Any set of litigation rules that ignores this basic fact is destined to be biased in favor of the party given a multi-year head start. An SEC enforcement proceeding, whether brought in federal court or the SEC’s administrative court, occurs only after an extensive investigation by the Division of Enforcement. That investigation may last years, and usually does. In that investigation, the SEC staff has virtually unlimited subpoena power, both to seek documents to obtain sworn investigative testimony from anyone the staff chooses. It is not unusual for serious investigations involving contested issues to go on for more than three years. Lots of documents may be produced – in corporate cases, often millions of pages of materials are produced to the SEC by various parties. Many persons may be required to testify – 15 to 30 would not be unusual – and several of them will be required to testify on multiple occasions. In addition to this, the SEC staff will interview other witnesses or potential witnesses without recording their testimony. The “investigative testimony” is controlled by the SEC staff. It often is not clear whether individuals are being targeted for possible action, and if so, which ones. As a result, witnesses are vulnerable to manipulation because their objective is to avoid being accused of violations, and they are concerned that appearing combative and “pushing back” on questions will undercut that goal. And manipulation does occur. Witnesses may be (and are) bombarded by questions from several examiners at once; questions may be (and are) leading; questions may be (and are) deceptive, in an effort to induce responses the staff may be looking for; witnesses are not given advance access to materials to allow them refresh their memory or think about (or look for) other relevant materials that could place documents in their proper context; the examiners pick and choose the exhibits they use, and often do so as a means of influencing the testimony (e.g., they will use an email out of context when the broader context shows the content in a very different light); the examiners may (and do) suggest answers and pressure witnesses to change their testimony when the answers they receive do not match their perceptions or contentions; and the examiners do not typically pursue lines of examination designed gather information about defenses to possible violations. Defense counsel is given an opportunity to ask questions, but without access to the evidence is limited in doing so. The end result of these examinations is often a transcript of testimony that is designed to support the staff’s “going in” theory of violations of law that they are considering to pursue with the Commission. The only outside person who may be given a copy of testimony by the staff is the person testifying. Even that occurs under rules set by the SEC, and a transcript can be denied to a witness if the staff objects, although that is rare. Only to the extent that witnesses agree to share transcripts might they be able to get an understanding of the testimony of other witnesses. That often occurs among witnesses with parallel interests, but it is rare that those being investigated have anything approaching a complete record of what people said before a case is brought. When a case is brought, the SEC staff turns over to the accused what they consider to be non-privileged portions of the formal investigative file. That normally includes all transcripts of investigative testimony, and all documents obtained by subpoena or other staff solicitations, but not records of witness interviews or compilations of relevant materials gleaned from all of the produced documents, which the staff almost always treats as privileged. The investigative file is also narrowly defined as the materials specifically developed for the case against the accused. It does not include other relevant documents that may be in the SEC’s possession that were obtained in other ways – perhaps, for example, in the course of other investigations on the same general subject matter. For example, if the SEC staff is investigating a particular accounting practice and decides to bring an enforcement action alleging the practice was wrong, or even fraudulent, the “investigative file” produced would exclude all materials the SEC gathered about the use of that same accounting practice by other persons, whether or not they might provide valuable evidence in the specific proceeding brought. But the SEC staff always has access to that additional data to the extent they choose to use it. As noted, the SEC staff is typically involved in an investigation for years. But the persons sued learn that they are targets only when they are asked for a “Wells Submission” (or sometimes a “pre-Wells Submission”). (A pre-Wells Submission is a relatively recent practice in which the staff advises a target of a potential action and gives an opportunity to respond, but does not label it a so-called “Wells Call.” That happens because many companies now treat the formal request for a Wells Submission as an event that should be disclosed publicly, and even the SEC staff understands that it might be irresponsible to take steps requiring the public disclosure of possible violations identified in the midst of an investigative process.) The Wells Submission process is one in which the staff informs targets of its conclusion that violations of law occurred and intent to seek approval from the Commission to prosecute, describes the alleged violations, and gives the accused persons a chance to prepare a submission that would accompany that memorandum to the Commission. In practice, the Wells (or pre-Wells) Submission also serves as the first chance for a target to try to convince the staff that he or she did not violate the law as alleged by the staff. The Wells Submission process is mandatory – the staff cannot avoid it. But when the Wells Submission is drafted, the accused only has access to whatever materials he or she has been able to gather without any subpoena authority – either from those that may have submitted them to the SEC, if they choose to share them, or those the SEC staff agrees to allow them to see. The end result is that when an enforcement proceeding is commenced, the SEC staff has already, usually for several years, been: (1) reviewing a large amount of relevant evidence; (2) developing an “investigative record” molded to support their charges; (3) producing witness testimony that often is slanted in favor of the staff’s theories because of the way those examinations are conducted; (4) gathering information about likely testimony of potential additional witnesses in secret interviews that are not transcribed; and (5) obtaining information about the likely defenses of the accused violators through the Wells Submission process. In contrast, the accused violators have limited information. Indeed, in many cases, their defense counsel was often not even involved in the investigation because it was not until a late stage (a Wells Call) that the actual targets were identified, and often only at that time do they obtain separate counsel to defend the threatened case against them. This context makes it painfully clear that the current discovery provisions for administrative proceedings in the SEC’s Rules of Practice are designed to handcuff defense counsel and prevent a fair opportunity to develop a reasonable defense. We won’t here belabor the shortcomings of those existing rules. The facts speak for themselves. Defense counsel are given an extremely limited period to learn the record and develop a defense, even in cases in which millions of pages of documents were produced, and the SEC staff has had years to sift through and analyze them. Defense counsel has no right to depose any witness except in very limited circumstances. Investigative transcripts are typically admitted into evidence with no right to cross examination on the fiction that they provide a reliable picture of the facts. The SEC staff is rarely required to provide access to its non-transcribed interviews, and often is not even required even to identify the people that were interviewed. Relevant evidence in the SEC’s possession is rarely required to be produced if it lies outside the narrow confines of the so-called “investigative record,” even when the SEC staff has access to plainly relevant materials located elsewhere. None of these limitations applies if the case is brought in federal court. The new proposed rules do almost nothing to remedy this. They allow an arbitrary number of depositions that is divorced from any analysis of what cases really require, and from any recognition that these are far from “one size fits all” cases. They allow only modest and plainly insufficient increases in time to prepare the case for trial. The periods chosen fail to take account of the fact that the SEC staff has years to prepare a case and the defense merely months. They also reflect no effort to analyze the trial preparation needs of these cases in federal courts, at least as a baseline for figuring out what might be reasonable in the administrative forum. Amazingly, no effort is made to analyze whether the demonstrable advantage the SEC staff has in access to evidence and witnesses, and in preparation time, may impact the fairness of the proceedings. These failures are quintessential examples of arbitrary and capricious decision-making under the Administrative Procedure Act. This proposed provision is arbitrary, capricious, and blatantly unfair in several respects. First, without any consideration or analysis of the imbalance between the SEC staff and the respondents in case preparation and access to evidence and potential witnesses, it assumes that the SEC staff and the respondents (as a group) should be entitled to an equal number of depositions. By ignoring the fact that the SEC staff previously had access to many witnesses, perhaps on multiple occasions, and the defense had no such access, the proposal’s determination that an equal number of depositions for the prosecution and defense is appropriate is purely arbitrary, lacking any supporting analysis or explanation. Indeed, it is not clear, nor discussed, why the SEC staff needs to take any depositions after having had unrestricted access to subpoenaed, sworn witness testimony during the entire investigative process. Second, apart from that fundamental shortcoming, the determination that in cases with multiple respondents, the SEC staff should be entitled to five depositions while the respondents as a group must split five depositions (i) lacks any basis or analysis; (ii) places respondents in a position of having to compete for limited depositions without any discussion of why this is appropriate; (iii) assumes – without support in either theory or common practice – that the respondents as a group will be able to agree on how to divide the five depositions, and fails to discuss the impact of potential conflicts among the respondents; and (iv) ignores a wealth of experience about fair ways to divide limited numbers of depositions among a plaintiff and multiple defendants. It also chooses an approach that differs greatly from what typically is adopted in the courts in similar situations, without any indication that the Commission has even considered those precedents, or why, if that consideration occurred, the judicial precedents were ignored. The notion that in a proceeding brought by the SEC against five respondents, the SEC staff is entitled to five depositions while each respondent is entitled to only one defies logic or common sense, and the Commission attempts to provide no reasoned explanation for this arbitrary decision. Third, even apart from the division of depositions among the parties, no rationale or reasoned explanation is given for the number of depositions permitted. One would expect that a reasoned process would develop data about the historic need for deposition discovery in comparable cases in federal court, along with analysis of whether reductions in those numbers could be justified in the name of efficiency without sacrificing fairness. There is no indication by the Commission that it undertook any such analysis or made any such considerations. In fact, in factually challenging cases, it would not be unusual to have ten to thirty fact depositions in a federal court case, followed by at least two expert depositions per side. Perhaps some of these could be avoided, but there is no analysis of either the common practice in federal court, or how that could be improved upon in the administrative court. Out of curiosity, I did a little research to see how many depositions are permitted by the courts — usually based on a stipulation between the SEC and defendants — in SEC enforcement actions in federal court. As noted above, this certainly is an analysis the Commission should have done before picking its own number. My research was limited to a few of the enforcement cases reported to have been litigated by the SEC in recent years. I did not find any case that did not permit at least 10 fact depositions for each side (expert depositions would be additional). The number could be much larger. In SEC v. Cuban (N.D. Tex. ), each side was permitted 10 fact depositions, by mutual agreement; in SEC v. Steffes (N.D. Ill.), each side was permitted to depose “more than ten witnesses”; in SEC v. Kovzan (D. Kan.), each side was permitted 15 fact depositions; in SEC v. Anselm Exploration (D. Col.), each side was permitted 20 depositions, by mutual agreement; in SEC v. Collins & Aikman Corp. (S.D.N.Y. ), the parties proposed that the SEC could notice 25 depositions and multiple defendants could notice 50, and the court allowed 15 fact depositions by the SEC and 20 fact depositions by defendants; in SEC v. Jensen (C.D. Cal. ), each side was permitted 30 fact depositions, by joint agreement; in SEC v. Moshayedi (C.D. 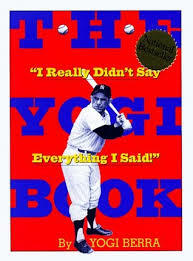 Cal., each side was allowed 25 fact depositions, by joint agreement; and in SEC v. Mudd (S.D.N.Y. ), each side was permitted 75 fact depositions by joint agreement, plus as many expert depositions as there were experts designated. Another possible approach, would be to look at the number of investigative witnesses examined by the SEC staff in these cases, plus the number of witnesses subject to informal SEC interviews, as a starting point for figuring out how many examinations the defense should be permitted. There is no indication that the Commission did any such analysis, or even took that factor into account. 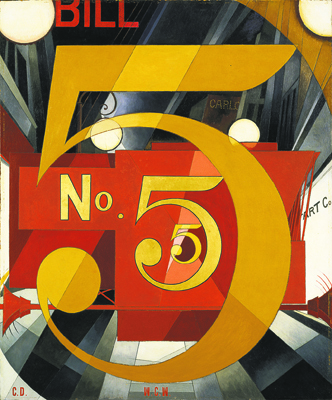 Or perhaps a commissioner was fond of the painting by Charles Demuth in the Metropolitan Museum of Art, “The Figure 5 in Gold,” made in homage to the Williams poem (see Where Paint and Poetry Meet). I could understand that, because that was my favorite artwork as a kid. Whatever may have occurred to yield the number 5, nothing we have been told suggests anything other than purely arbitrary decision-making. Fourth, choosing a number as small as five for the number of depositions permitted (and even fewer per respondent for multiple respondents) obviously advantages the party with more access to information and witnesses outside of the deposition process, which is the SEC staff. If a larger, and more reasonable, number were chosen, at least the defense might have an opportunity to catch up to the SEC in access to possible witnesses, learning the facts and evidence, and preparing for trial, by taking full advantage of its allocation. But with at most five depositions permitted, this will almost never occur because most of these cases have many more potential fact witnesses (not to mention experts). Fifth, even within the limited number of depositions, the proposed new rules also hamstring the defense of cases by limiting the witnesses the defense may subpoena. Remember, the SEC staff has free-ranging access to witnesses during its investigation using its subpoena power, without having to sustain the burden of showing why those witnesses should be examined. But the Commission’s proposed limit on who can be deposed places a burden and limitation on the defense, even beyond the meager numbers, because it requires that motions to quash deposition subpoenas be granted unless the party can show that the proposed deponent (i) “was a witness of or participant in any event, transaction, occurrence, act, or omission that forms the basis for any claim asserted by the Division of Enforcement, or any defense asserted by any respondent in the proceeding”; (ii) “is a designated as an ‘expert witness’” [sic]; or (iii) “has custody of documents or electronic data relevant to the claims or defenses of any party.” The rationale given for this limitation is that: “This provision should encourage parties to focus any requested depositions on those persons who are most likely to yield relevant information and thereby make efficient use of time during the prehearing stage of the proceeding.” But the limited number of depositions already creates ample pressure to make the best use of them, and if the defense values a deposition sufficiently to use a precious slot on a deponent even if he or she is not “a witness or participant” in the matters at issue, or a designated expert, the Commission provides no rational reason why that should not be permitted. For example, in cases involving allegations of scienter based on a theory that the respondent’s conduct was “reckless,” the critical issue in the case may be determining the appropriate industry standard against which the judge could compare the conduct proved to determine whether it departs from that standard so egregiously that it was “reckless.” A key witness on that issue may be one who has knowledge of the industry standard or practice — not necessarily as an expert, but as an industry participant giving fact testimony. In fact, the fact testimony of several such witnesses could be highly relevant, until they became unduly cumulative, by which time the key factual point would be made. Under the SEC’s limitation, such a person, who was not “a witness or participant” in an act that forms the basis for the claim, could not be deposed. But it is hard to imagine any rational reason why that deposition testimony should be barred. Indeed, it would seem likely that providing such evidence to the ALJ by means of a deposition transcript would be much more efficient and economic than hearing the testimony live. Finally, there is no discussion at all about why it is appropriate to choose a single number for depositions without regard to the nature of the case, the complexity of the facts, the number of experts to be used, the length and complexity of the investigation, or any of the myriad of factors that differentiate cases from one another. In other words, the very decision of choosing a single maximum number of permitted depositions for all cases lacks any discussion or support. It also flies in the face of reason, reality, and years of litigation experience. There is a reason why the number of depositions in federal court civil cases is a discovery issue to be discussed by the parties and ultimately decided by the presiding judge. As the precedents discussed above show, cases differ, and discovery needs differ with them. The decision to choose a single maximum number for all cases regardless of their nature and needs is by all appearances a capricious choice, even without regard to the fact that the number chosen is unconscionably low. There no doubt are more reasons why the arbitrary choice of five depositions, to be divided among all of the respondents, lacks any reasonable basis. But the point is sufficiently made already. The Commission’s proposal on depositions reflects more whim than anything else. The level of analysis of the issue and reasoned consideration of the options is pathetic. The retention of an inherently unfair process that favors the SEC staff and undermines the defense is so clear that one can only assume it was intended. If adopted by the Commission in a final rule, it should be challenged, and should be overturned by the court of appeals. In Part III of our analysis of the SEC proposal, we will examine some of the other respects in which the Commission’s proposed rule changes assure that the SEC staff will continue to have a distinct advantage over respondents in the SEC’s administrative proceedings. This entry was posted in Administrative Proceedings, Enforcement Overreaching, SEC Enforcement, Securities Law and tagged administrative courts, administrative law judge, Administrative Procedure Act, administrative proceeding, ALJ, arbitrary, arbitrary and capricious, capricious, Charles Demuth, depositions, depositions in SEC proceedings, discovery in administrative proceedings, discovery in SEC proceeding, due process, Enforcement Division, equal protection, fairness, fairness in SEC proceedings, lawyer, legal analysis, Rules of Practice, SEC, SEC Amendments to Rules of Practice, SEC enforcement, SEC fairness, SEC Proposed Rules of Practice, SEC Rules of Practice, securities, securities fraud, securities law, securities litigation, The Figure 5 in Gold, The Great Figure, Wall Street Journal, William Carlos Williams on November 5, 2015 by Straight Arrow. The editors of Bloomberg View published the following important editorial comment on the SEC’s administrative prosecution of alleged securities law violations. A consensus seems to be growing that fairness and due process trump claimed “efficiencies” is prosecuting these cases. Recognizing that this is a serious problem (which the SEC has not yet done) is the first step in moving toward a solution. The U.S. Securities and Exchange Commission wants to show it can be trusted with a potent weapon: the ability to act as prosecutor, judge and jury in its pursuit of financial miscreants. The real question is why it should have such power in the first place. In the U.S., the judicial branch doesn’t have a monopoly on dispensing justice. Myriad regulatory agencies, including the SEC, have their own in-house proceedings. Originally, these were designed to handle misconduct involving people who chose to enter the regulators’ remit — say, by registering as brokers or investment advisers. Punishments were mostly limited to disciplinary measures, such as revoking registrations. The idea was to handle routine business more quickly and efficiently than federal courts. Over the past few decades, though, the SEC’s powers have expanded immensely. The Dodd-Frank Act of 2010 gave the agency’s judges authority to impose large monetary penalties on anyone who violated federal securities laws — not just on regulated people and companies. The SEC no longer had to go to federal civil court to pursue many securities-fraud and insider-trading cases. A janitor who passed on a stock tip could end up being tried and fined hundreds of thousands of dollars without ever setting foot in a real court. That’s a problem. The SEC’s proceedings differ from federal civil trials in important ways. The agency hires, pays and shares offices with the administrative judges. The defense has no access to a jury trial, little time to prepare its case, and no power to get its own pretrial depositions from witnesses. Appeals go to the same SEC commissioners who approved the filing of charges in the first place — and then to federal courts that tend to defer to the SEC’s judgment. Not surprisingly, an initial push by the SEC to send more cases to its administrative judges provoked a backlash. Defendants have challenged the system’s constitutionality. Legal experts are concerned that it will usurp the federal judiciary’s role of construing and elaborating the law. To its credit, the SEC has pulled back in recent months and offered some changes for public debate. Among other things, the agency proposes giving the defense more time to prepare and the ability to obtain depositions from as many as five witnesses. That isn’t enough — but it’s hard to see what would be, without defeating the purpose. If the SEC had to give defendants most of the rights they enjoy in federal court, it would no longer be able to deal with cases quickly. There’s another way. If the SEC’s administrative proceedings are equitable, as the agency insists they are, both sides should prefer their speed in cases that don’t require the fuller examination of a federal court. So why not let defendants — at least, those not regulated by the SEC — choose the system in which their cases will be heard? If the SEC won’t allow it, Congress can. Such an option needn’t increase miscreants’ chances of escaping justice, and it would give the SEC an added incentive to keep its process fair. Some have likened the SEC’s quasi-judicial system to a kangaroo court. Even if it isn’t, it has the potential to become one. It should be restrained before it does too much damage. See The SEC’s Kangaroo Courts. Perhaps this will cause some folks at the SEC to reconsider whether the marginal (at best) proposed changes to its Rules of Practice are an appropriate response to serious due process and fairness issues at stake here. Or if not, maybe Congress will step in to cure the problem it started in the Dodd-Frank Act by handing the SEC jurisdiction over many more cases than it should have. We can only keep the drums beating and hope someone listens. This entry was posted in Administrative Proceedings, SEC Enforcement, Securities Law and tagged administrative courts, administrative law judge, administrative proceeding, ALJ, Bloomberg View, constitutionality, Dodd Frank Act, Dodd-Frank, due process, equal protection, fairness, fairness in SEC proceedings, kangaroo courts, lawyer, legal analysis, SEC, SEC enforcement, SEC fairness, SEC kangaroo courts, securities, securities fraud, securities law, securities litigation, separation of powers on October 27, 2015 by Straight Arrow. There seem to be a good number of people trying to figure out what is going on in the securities class action suit in the New York State Supreme Court Gordon v. Verizon Communications, Inc., Index No. 653084/2013. That is the case in which Judge Melvin Schweitzer famously rejected a proposed “merger tax” settlement in an opinion that received some attention. It was a matter of some interest that a member of the New York State Bar, Gerald Walpin, filed successful papers in the case objecting to the settlement on policy grounds when the defense lawyers from the Wachtell Lipton firm stood mute in the effort to pay off the plaintiff’s counsel to allow the merger to proceed. See Commentary on Abusive State Law Actions Following M&A Deals. Some time ago I provided an update on developments in that case (Update on Status of Proposed Settlement in Gordon v. Verizon Communications, Inc.), in which I noted that the plaintiff filed a notice of appeal, and that attorney Walpin sought to intervene in the case to pursue a motion for summary judgment, arguing that the defense lawyers in the case were conflicted by having agreed to the settlement. Here is another update. I provide this because it seems like a lot of class members are floundering around with no understanding of what is happening. On August 3, 2015, Judge Anil Singh rejected several motions in the case, including the motion by Mr. Walpin to intervene and seeking summary judgment on behalf of the defendants, and a motion by by the plaintiff to introduce a new expert report addressing the proposed settlement and for reconsideration of Judge Schweitzer’s December 19, 2014 order denying the motion to approve that proposed settlement. A copy of that decision is available here: Decision on motions in Gordon v. Verizon Communications. On September 14, 2015, the plaintiff filed a Notice of Appeal of that order. See Notice of Appeal in Gordon v. Verizon Communications. That is pretty much all that the case docket sheet reveals. By all outward appearances, the case is otherwise in stasis. Since Judge Schweitzer’s decision, the “disclosure only” settlements of merger challenges — referred to by Judge Schweitzer as “merger tax” settlements — have come under attack and disrepute in a number of court decisions. Most recently, several decisions in the Delaware Chancery Court have rejected such proposed settlements. See Delaware Judge Tells Plaintiff Lawyers: The M&A ‘Deal Tax’ Game Is Over; Game Over? : Del. Chancery Court Rejects Disclosure-Only Settlement in H-P/Aruba Networks Merger Objection Lawsuit; and Transcript of Del. Chancery Court Hearing in Aruba Networks Stockholder Litigation, in which Vice Chancellor Laster addressed a proposed disclosure-only settlement in the H-P/Aruba merger challenge. It seems that this sordid practice may be on the wane because judges finally are doing their jobs. But in the meantime, the supposed beneficiaries of these cases — the shareholders — are kept totally in the dark about these developments. Plaintiff’s counsel should be keeping these putative clients informed but, at least in this case, are obviously failing to do so, presumably because they see no vigorish in it. What a “profession”! This entry was posted in Class Action, Securities Law and tagged class action, class action settlement, deal tax, disclosure only settlement, Gerald Walpin, Gordon v. Verizon, Gordon v. Verizon Communications, H-P/Aruba settlement, Judge Anil Singh, Judge Melvin Schweitzer, lawyer, legal analysis, M&A deal tax, M&A litigation, merger tax, securities, securities fraud, securities law, securities litigation, Verizon Communications, Verizon Communications settlement, Wachtell Lipton on October 16, 2015 by Straight Arrow.